Comedienne and radio host Judi Love has a new show on BBC Radio London ‘The Scene’, a showcase for celebrating London’s diversity and emerging talent.Born in Hackney, East London Judi is the youngest of five children and has always been the comedian of the family. She has been on various radio stations including 1Xtra and BBC 5 live. 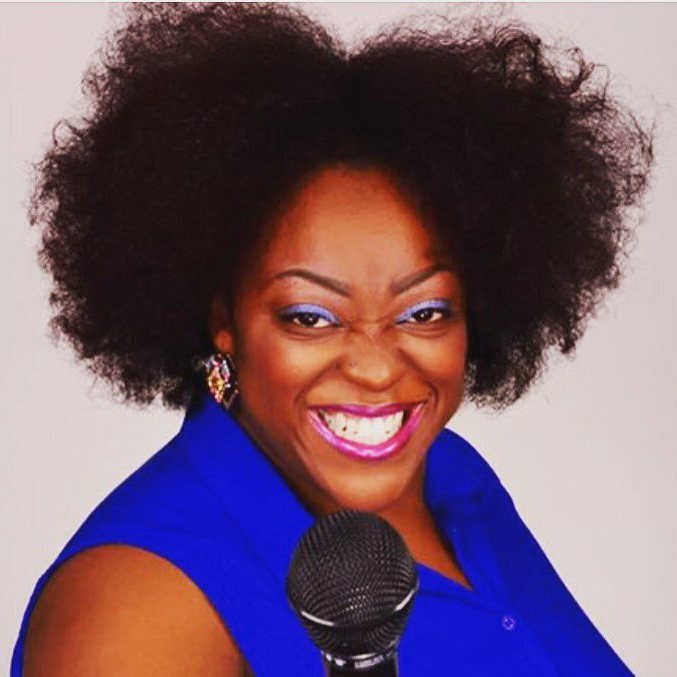 She performed at Dave Chappelle’s secret comedy show in London October 2018 and is one of the rising faces at the renowned Comedy Store London. She is the recent winner of Best Comedian at the UK Entertainment Awards 2018. Her large and growing fanbase is down to her creation of shows like; Real Talk, The Love Kitchen, Rants and Nursery Rhymes with Judi Love which you can catch on her facebook page. When I was little, when I was young I did not even realise it was comedy, I loved engaging people making them laugh and I remember being young and watching family members and see them throw their hands in the air and laugh. I would say it was a very early age but when I said let me probably try this, it was about 2011 or so I was like hmmm, or maybe I could try, I wanted to from 2009 /2010 but it was 2011 when I said let me get on the stage and see if this can work. I have always had that love for laughter and just how much it unites people I did not realise that I could be a stand-up comedienne. What is it like being part of very male dominated comedy circuit? You have got to learn to be quite resilient quite tough, you are on the road more times, you are on the road mainly with guys. Their humour is out there and sometimes you are like “oh I am a woman” but because I have known some of them a while you build a relationship but it so definitely a male dominated field, it is weird because sometimes as a guy and he can do a joke that is more sexual but the same audience, if a women does it will receive it so differently so I find as a female comedienne I have to be more friendly tough, and very crazy, almost like, not a bully but a nervous kind of jokey way not being too dominate or too masculine it’s kind of like that playful bullying, if that makes sense. Did you go to drama school? I went to Identity drama school for like four months and I did one performance there and I found out I was pregnant and that is why I left and then did not go to any other drama school I went to a comedy school for six weeks one evening a week, and that was before I thought about becoming a comedian it was just about, I was not even sure what to expect. When I went I was taught how to stand, and the course was more for people who wanted to be confident in speaking in front of big audiences. Predominately people who owned businesses and/or wanted to become motivational speakers and speak at conferences. When I said I wanted to become a comedienne, they said we don’t normally get people who really want to be a comedian. after that I did a bit of comedy, but still did not know how I was as a comedienne. I did not really have my feet in, so I stopped and stated again from there it just kept going and I won a competition and from there it just started to build. I did not do the normal go to Uni study drama I went to uni over a period, but I did Performing Arts as part of Social Studies. First time I went Uni I was 26 and the second time I was yes, over 26 (laughs). Do you remember you first stand-up gig? Yes, it was somewhere in Camden as it was supposed to be like 5 to 7-minute slot mine was 20 minutes and it showed how inexperienced I was at the time. I watched the DVD a couple of years ago, looking at how I dragged out the story and delivered the joke before the punchline and slayed everything, there was a little bit of funny in there, but I have come a long way. Can you tell us about The Scene on BBC Radio London? The scene is a collection of people that are in the London scene whether that is entertainment, music poetry comedy and we all have our own slots Monday to Fri between 8 and 10pm I a show had my first one last night ( Wednesday) everyone has something different it is just about emerging talent through arts and culture. My show is I would bring in musician and for culture it would look at the culture of London. In the last show we talked about Mel B’s dysfunctional relationship and we talked about the stigma of single mum. And we also talked about the Xfactor finalist Dalton Harris who us Jamaica born but he is in London for the x- factor and how diverse London is and all the different cultures and really looking at difference culture around and the stereotypes what it means to be a single mother in London, what opportunities they have . we look at culture we look at art and we let people know what is out there. Is this your first radio show? Yes, but I am a very diverse person I have a lot of facial expression and I am going to try and use my personality in it. You need to have personality to keep your listeners engaged. I think the first show went quite well I was very nervous but also excited because it is something a huge challenge but the radio station itself believe I have the ability and that I would push forward with what I know best which is performing and engaging with people. I was headhunted I have this show on Facebook called Real Talk show dealing with hot topic dilemmas and an agent got in touch and said the BBC was looking for new talent, new voices and they think you might be quite good for it and I went for an audition and so on, they said that you like your sound and the audience as the BBC want to capture a more diverse audience that is reflective of the London community. And I think my audience have this and I appeal to everyone in that sense from whether you are a working mum, black females , whether your parents are migrates and the comedy in top of that. What is your view on diversity? I think that there are changes but the fact that we are in 2018 and we cannot name one standing show that represents black families in the UK, shows that we have not come far enough and or a comedy show, there are so many different cultures, interracial relationships, people of dual heritage, just having a white female and black male in an advert is not enough.